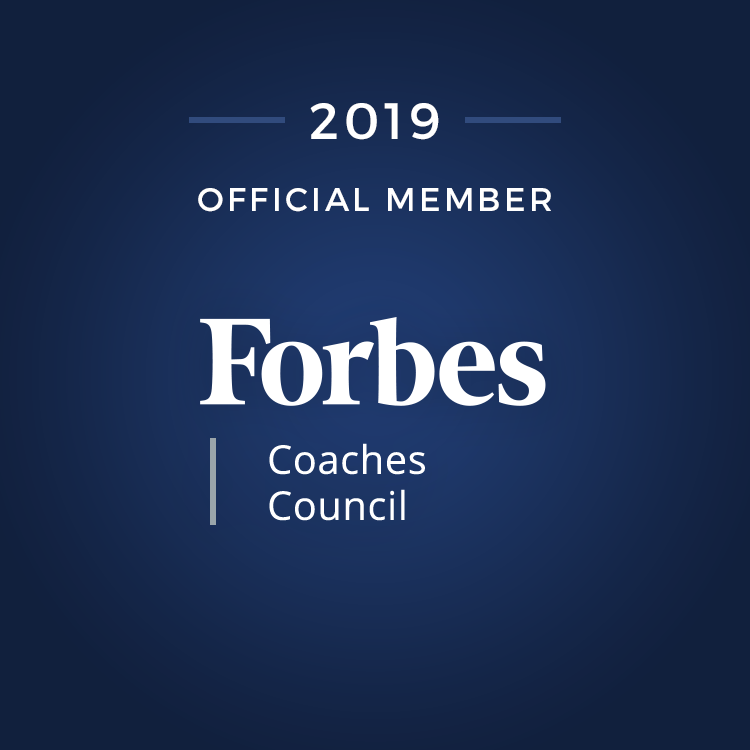 In this episode, Heather speaks with Patrick Brady, Regional President for FirstBank about his leadership style, his philosophy on leading people, the different levels of his leadership, and a critical nugget for leaders who might be at an impasse in their leadership. Leave room for your people to be independent in their roles. There is a way to still remain within an organization or a team, even if your leadership style differs drastically from your manager. It is the leader’s fatal flaw to not to go deep with their people and not build personal relationships. Our people want to see our humanity. 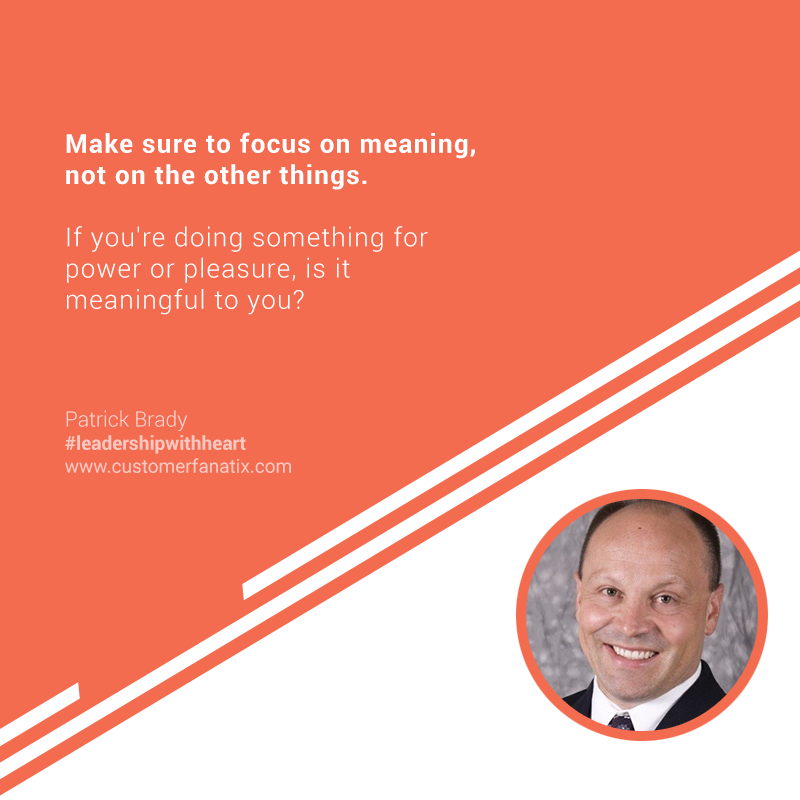 Employees put meaning in the work that they do. This is a rich episode with a light-hearted and heart-centered leader. Listen and learn! Patrick Brady is the Regional President for FirstBank for Northern Colorado and Arizona. In addition, Mr. Brady serves as Executive Vice President for FirstBank Holding Company. He works to set and implement strategic initiatives for the organization as a whole and advises several other FirstBank markets. Over the years, he has been responsible for the opening of the Northern Colorado market for FirstBank and overall management of $850 million in bank assets. A Colorado native, Mr. Brady has also served the northern Colorado communities extensively via board positions and other involvement in church groups, chambers of commerce, economic development groups and affordable housing non-profits. He earned his bachelor’s degree in business with concentrations in finance and real estate from Colorado State University. He also holds a certificate in advanced bank coursework from the Graduate School of Banking at Louisiana State University. Patrick’s passions are his Catholic faith, his wife Robyn and his four children. Clearly, I feel like I’m still learning, although I have managed people for almost 30 years. I have been a manager for three decades, and a leader less than that. I am ever evolving. My previous job is a lot closer to people, which I really feel natural to be in. But my current job is a bit more removed from the people. I interact with less people, in a less, face-to-face personal way. My people appreciate my energy and goofiness. But they would also appreciate how that sometimes I set some things that a lot of folks in business have, which is real Type A, driven, and super-organized personality. A lot of people struggle often more with soft skills and letting their guard down more. I tend to work currently with a group of people who have more skills I wish I had during all those years—timeliness, organization, and detail. Most people would say we’re a good team for the most part because of that. I believe they know I care. I view them as my peers, as equals, and I learn an awful lot from them. I think that I’m giving good room for independent decision making, their own trial and error, and not trying to become over the top or over-managing. That’s how I am attempting to manage: with a lot of trust, a lot of energy and beyond myself. I was maybe five years in the company. I had just my first child. I knew I had responsibilities, but I wasn’t that motivated at work. I wasn’t liking it that much. It didn’t feel right to me. I remember having a review with my president at the time. He said, “Honestly, I have grounds to maybe just ask you to leave.” I said, “You do, because I am not happy.” But I have to figure it out. If I don’t, I’ll be gone. That’s my boss. And if I like this company, if I want this job, I’d better learn how to work with him. So, I went from that person saying, “Maybe, I should let you go. You’re not performing that well,” to five years later, that person worked really hard within our internal structure and pushed the board pretty hard to make me a president at a young age. To cover that space in five years, to figure that relationship out, make it productive, positive, more fun for me and more valuable for him, and to have success together– that’s a really big deal. People’s ability to change became really clear to me at that time. My ability to change people’s ability: not saying something can or cannot work because there’s stylistic differences but saying how it can work when there’s stylistic differences is just a key point to me. I think it’s just miserable to battle all the time, and try to build yourself up exclusively. Some people get to the top that way. It’s just not the way I found in getting closer to the top. I try to make time for personal connections. I think it’s an important one. You have got to be present still, even though you do a lot of these electronically. This physical presence is important. I do travel to those out-of-state markets often. That’s a meeting protocol. But I also schedule smaller meetings with some of their people for breakfast or lunch. The job satisfaction surveys you read shows that being cared for, being known personally, and having relationships are as important as paid hours. As leaders in business, to miss that important piece seems like a fatal flaw, if you can’t bring it back to a relational level at a regular interval. I also try to share personally. When someone asks you how your weekend was, 75% of the people would say, “It was great.” Then they go to their tasks. But as a leader, I think that’s a real shortcoming. You’re not bragging. You’re not trying to overtake their weekend story or their weekends coming up. But they want to know something about you, too. They appreciate you ask about them, but they have an interest in you and your life, how that plays out, and what it looks like. You can be real about that and share things openly. I think it only strengthens the bond, too.